Synopsis: Modern historians of mapping have assumed a wide understanding of what ‘map’ might mean. With regard to medieval texts, the idea is understood to embrace a range of genres that includes, for example, world maps, zonal diagrams, land surveys, itineraries, street plans, and architectural drawings. At the same time, it may refer to either visual or verbal texts. Bede’s name has been invoked in scholarly discussion of medieval maps in connection with his De locis sanctis (On the Holy Places) and his De temporum ratione (On the Calculalion of Time), but thus far his magnuns opus has remained outside such discussion. 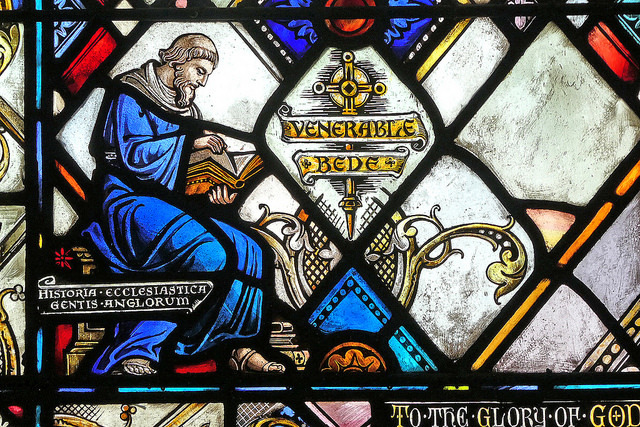 This paper, however, will argue that mapping is central to the meaning of Bede’s Historia ecclesiastica gentis Anglorum (Ecclesiastical History of the English People) and substantially informs the narrative structure which advances that meaning. The respective associations of De locis sanctis and De temporum ratione with mapping provide a starting-point for this argument, since they share relevant discourses with the Historia. De locis sanctis had its origins in a pilgrimage to Jerusalem made in the late seventh century by Arculf, a bishop of Gaul. On his way home he was blown off course and was received for a time by Adamnan, Abbot of Iona, to whom he described his travels. Soon afterwards, between 686 and 688, based on the notes he had taken, Adamnan wrote a guide-book to the Holy Places, De locis sanctis; to illustrate the verbal text he added ground-plans of four particular sites in the Holy Land, copied from sketches Arculf had made for him: the church at Jacob’s well, the church at the Place of the Ascension, the basilica on Mount Sion, and the building complex on Mount Golgotha. In 702– 03 Bede abridged Adamnan’s text to produce his own De locis sanctis, and copied the four drawings into it. The plans appear in manuscripts of both works from the ninth century, and are treated as maps in the scholarly literature.